Show car to forecast the automaker's future EV design. Hyundai may be sitting out the Geneva Motor Show this year, but its sister brand will be there in a big way. 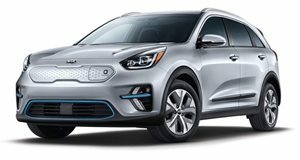 Not only is Kia using the European expo to reveal the new Xceed crossover, but it's also planning an altogether different concept. Previewed here is an as-yet unnamed show car that's slated (like most of the concept's we're bound to see in Geneva next month) to pack an all-electric powertrain. And from what little we can see so far, it looks pretty striking – at least from the head-on view. The design presents a fresh take on Kia's signature Tiger-Nose grille. Since EVs don't need radiators (at least not the kind that internal-combustion engines do), the outline is applied across the full fascia, encompassing the slim headlights in an illuminated frame of its own. The greenhouse also looks pretty slender, winged by what look like tiny cameras for mirrors – an element long seen on concept cars and just now being applied to production vehicles as well. 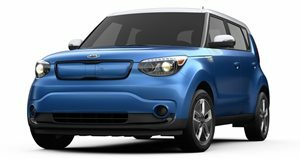 The lower front fascia appears to bear some sort of feather-like motif, and the overall design is slated to preview all of Kia's future EVs. Like the dinosaurs, when it dies out, the next phase of EV evolution will begin.